Last year our employees around the world collected more than 95 tons of food and are committed to surpassing that number this year. Organizations like the Interfaith Food Pantries serve an important role in our community and we’re pleased to support their efforts. LIVINGSTON, NJ — CIT Group Inc. (NYSE: CIT) cit.com, a leading provider of financing and advisory services to small businesses and middle market companies, today announced that its Livingston-based employees personally donated more than 41 tons (82,000 pounds) of food as part of its Shared Harvest global food drive program. The food will be donated to the Interfaith Food Pantries serving Morris County and the Oranges and is expected to provide approximately 69,500 meals to families in New Jersey. 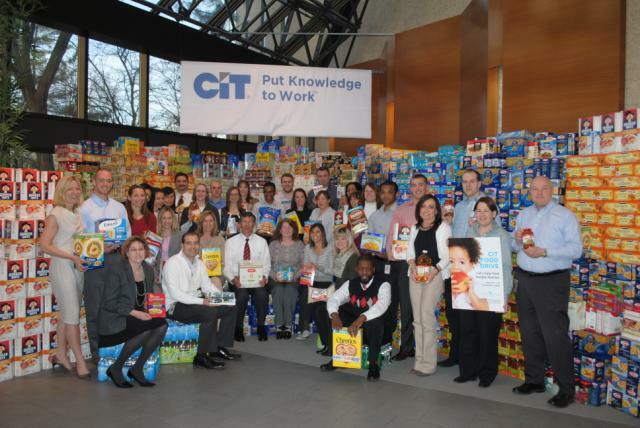 In 2014, CIT offices around the world will sponsor similar employee food drives as part of its Shared Harvest food drive program while continuing to sponsor local volunteer projects that support their neighbors and community organizations.